This example demonstrates how to use a wildcard in Google search. Lets suppose we have this idiom: "if you have a somebody for a friend, you don't need an enemy", but we do not remember exactly what that somebody would be. 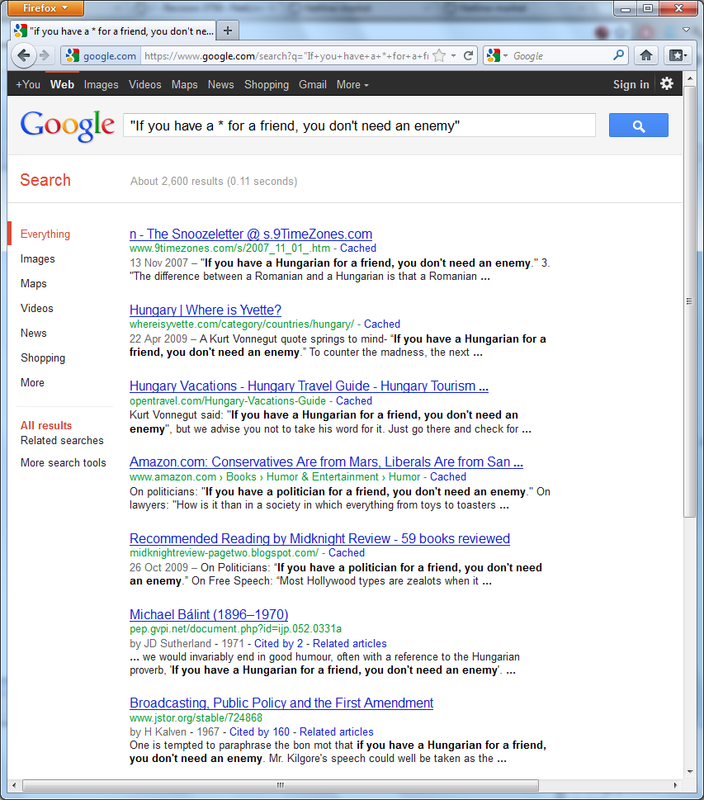 Let's ask Google: "If you have a * for a friend, you don't need an enemy".